Fruits and vegetables don’t have to be confined to the backyard. If you get at least 6 hours of light out front, plant edibles there! Add some sun-loving flowers, and you’ll have a beautiful, tidy garden. Let’s talk about some tips to make a front yard vegetable garden have major curb appeal. Then look below for our design and click through the slideshow for information on the plants. Follow it exactly, and it can’t get any easier! Or use it for some inspiration and find something that works best for your front vegetable garden. 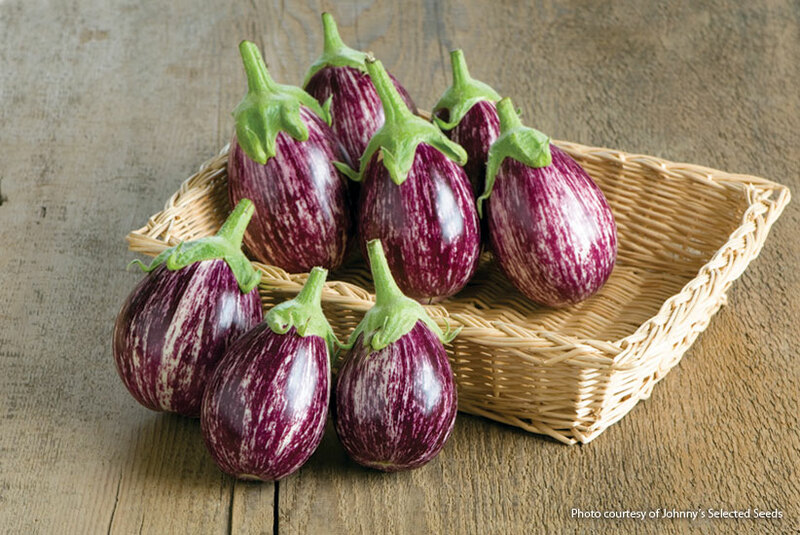 Browse through seed catalogs and you’ll find a lot of pretty edibles. 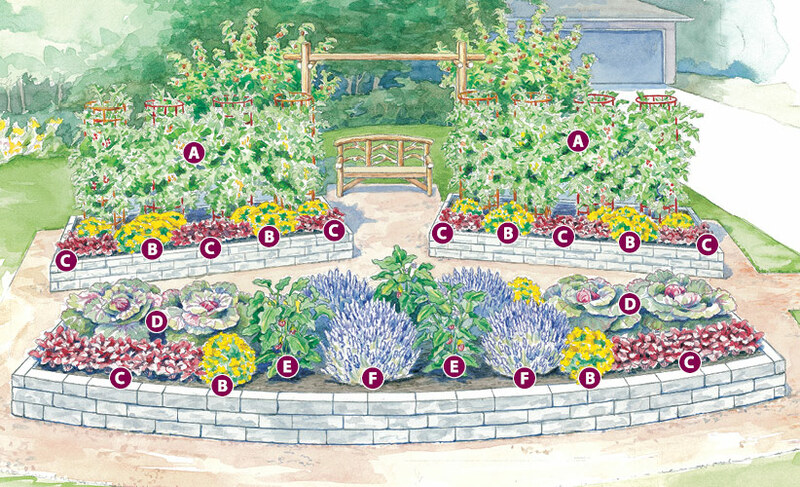 Keep in mind design elements, such as color scheme and texture, like you would when planning any garden. Limestone is a great material to use for raised beds. It’s sturdy, long-lasting and attractive. The beds used in this design are about 11×5 ft. and 20×5 ft. 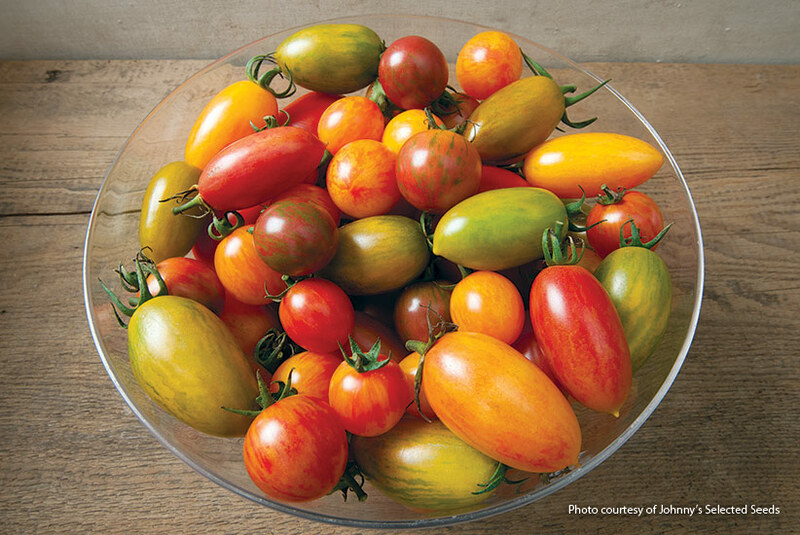 The Artisan Tomato collection includes seven different varieties. 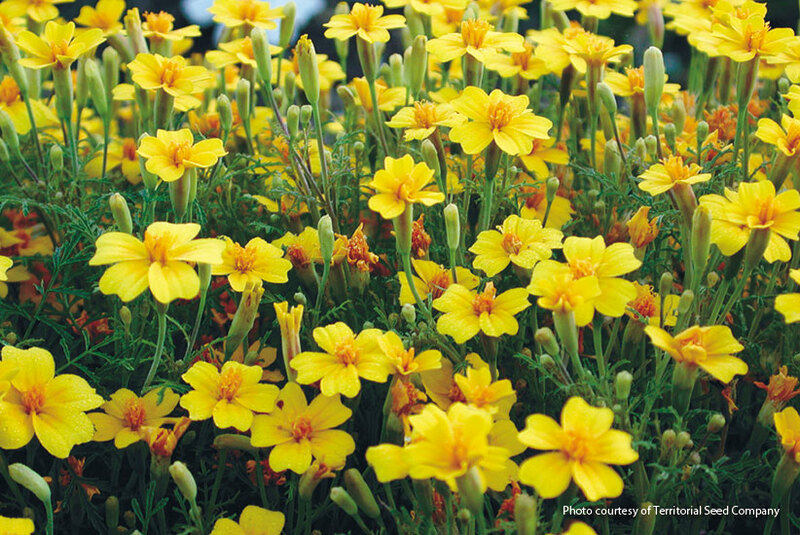 Plant them on the north end of the garden so they don’t shade out other plants. Showy ‘Bull’s Blood’ beets and edible ‘Lemon Gem’ marigold blooms add extra color and contrasting texture at the edge of the beds. 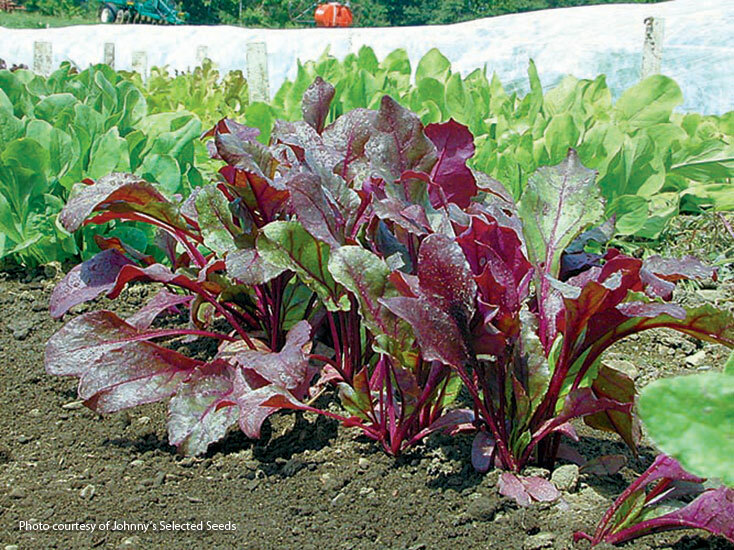 Keeping beets in clusters makes them easier to sow and harvest. ‘Deadon’ cabbage’s layers of blushed leaves are very ornamental and look great combined with purple and white eggplants and lavender. If eggplant and beets aren’t your thing, try peppers and lettuce instead. They grow about the same size. It’s a good idea to rotate crops from year to year to reduce pests and diseases, too. Maintain good curb appeal by removing yellow leaves and keeping up with harvesting. 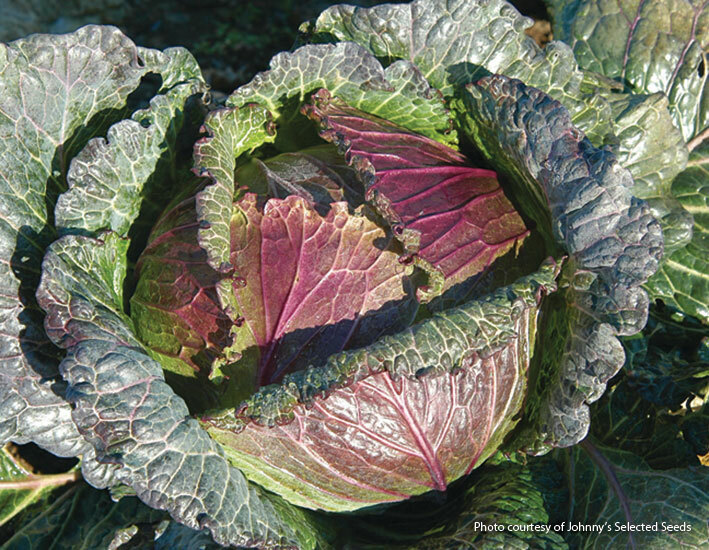 Watch out for pests, such as flea beetles and cabbage worms, and spray infested plants with an organic insecticide with spinosad. 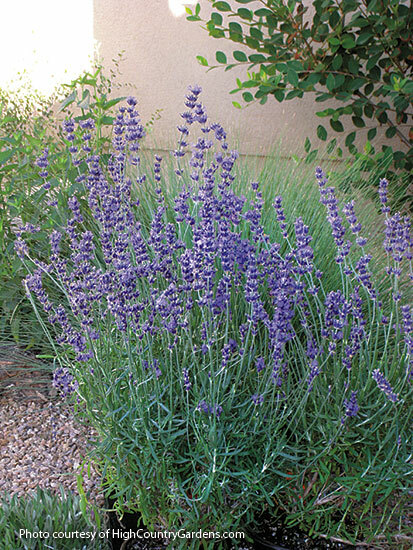 Make sure plants get 1 to 1½ inches of rain or supplemental water each week. When you finally pluck that fresh produce, you’ll see it was worth the effort. Try this hot new trend in indoor gardening! It doesn’t take long to make a kokedama if you follow our simple how-to steps.